The Oval Woodland Falls Water Feature is a unusual and charming wood like effect feature. 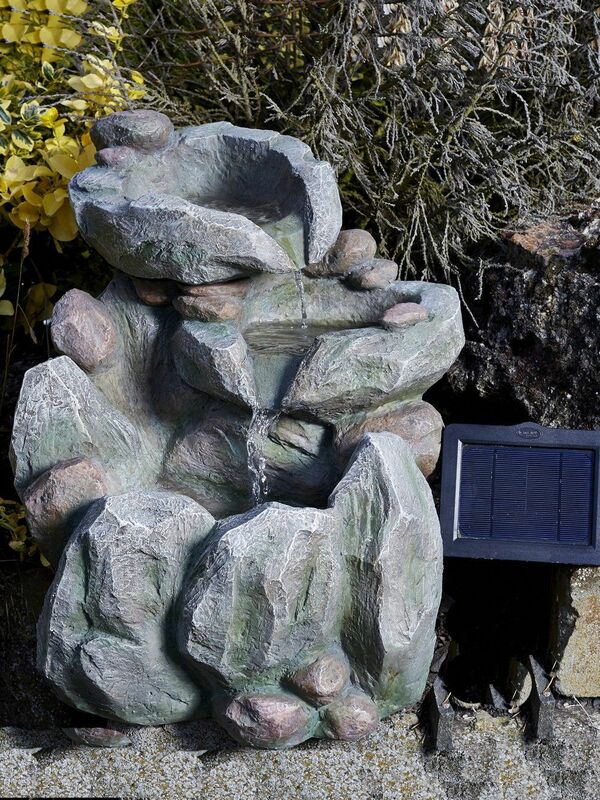 It is lit by 8 led lights so will shine in your garden as the water cascades round this well made feature. Made from high quality and durable polyresin with intricate paint detail and finish. You will enjoy for years to come.